Depending on your perspective, January in Vermont might represent a climactic blessing that enables a glorious month of recreational adventure, or a hellish, relentless beast that grips you in its jaws for 31 of the most miserable days of the year. Either way, you might want to consider a slide to Montpelier this weekend, where the Summit School of Traditional Music and Culture’s Spice on Snow festival offers a musical — and gustatory — respite from winter’s coldest month. Spice on Snow is the fourth annual mid-winter festival for the Summit School. Since its inception in 2011, the event has doubled from two to four days, and expanded from a music slate of all-local performers to one drawing nationally known players for a series of concerts and intimate instructional workshops. This year’s headliners include the Revelers, a Lafayette, La., Cajun ensemble featured on HBO’s post-Katrina epic series “Treme” and Anthony Bourdain’s “No Reservations.” They’ll hit Montpelier Town Hall on Friday, January 10, for a Cajun dinner, concert and dance. 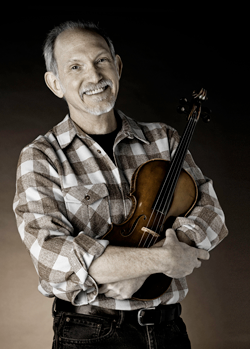 Sharing top billing is Bruce Molsky, a legendary old-time fiddler who has been nominated for two Grammys and whom Darol Anger — no slouch in the strings section himself — calls “the Rembrandt of Appalachian fiddle.” Molsky will perform Saturday, January 11, at Bethany Church in downtown Montpelier. Other musical guests include Ithaca, N.Y.-based old-time musicians Richie Stearns and Rosie Newton, and Vermont’s venerable old-time master Pete Sutherland, who’ll be playing the festival’s finale with Yankee Chank and Friends. Spice on Snow also offers free coffeehouse shows with local groups Good Old Wagon, the Zeichner Family Band and the Turning Stile. The Cajun theme pervading the festival has its roots in the musical explorations of Summit School founder and board member Katie Trautz, who’s been traveling to Louisiana for the past two years to perform, first with the Kick ’em Jenny Stringband and then with Montpelier rocker Jay Ekis. Trautz describes her adventures, which center on Lafayette’s Blackpot Festival, as an immersive learning experience. And during her time there, she’s befriended a number of Cajun musicians, including members of the Revelers. Reached by phone at the Ashokan Music and Dance Camp in the Catskills, where he’s teaching at an annual New Year’s workshop, Revelers bassist Eric Frey seemed quite pleased to be making the journey to Montpelier, despite its northern locale. When informed of the current weather conditions, he chuckled. “People say, ‘I bet you aren’t used to this kind of weather down in Louisiana,’ but every year we come up and do some sort of winter tour, so we are pretty accustomed to it,” said Frey. And, he added, it’s easy to get warmed up at a Cajun performance, because Cajun is about participation. In addition to the free dance class, Spice on Snow includes more than a dozen 90-minute workshops in Cajun, Zydeco, country and old-time music, at a cost of $10 to $25 each. Offerings include old-time fiddle and banjo, Cajun/Zydeco accordion, harmony singing, Cajun guitar and a more in-depth dance class. Everyone, from neophytes to musical veterans, is invited to participate. At most traditional Cajun events, music is only part of the picture, and the role of food can’t be overstated. In fact, the name for the Blackpot Festival comes from cast-iron cookware used to simmer up a good gumbo. Spice on Snow will bring the heat to the kitchen courtesy of Lafayette chef Toby Rodriguez and Montpelier’s New England Culinary Institute. Rodriguez, who has appeared on “No Reservations” and “America’s Top Chef,” has taught the mysteries of Cajun boucherie as far north as Alaska. And when he visits Montpelier for Spice on Snow, he plans on going at it whole-hog in a series of what he calls “extremely hands-on” cooking workshops. On Friday morning, Rodriguez will lead a class in South Louisiana whole-hog butchering at NECI’s College Street kitchens. He’ll follow it up in the afternoon with a class on cooking traditional neck-bone stew. That dish will form the centerpiece of a Town Hall meal preceding the Revelers concert. On Saturday at NECI’s School Street kitchen, Rodriguez will work with students to make Cajun sausage and smoked meats. Later that day, he’ll collaborate with students on boudin and hog headcheese. The products of these classes will be served at a dinner before Bruce Molsky’s Saturday night concert and in a five-course brunch Sunday morning at Three Penny Taproom. Rodriguez, a sculptor and furniture maker who has never trained as a chef, emphasizes that if you cook or eat at Spice on Snow, you’ll learn the difference between spurious Cajun food and the real thing. Most people, he says, equate Cajun with one type of spice: heat. And they couldn’t be more wrong. “There’s a whole array of spices that go into it,” Rodriguez says. With that, he might well be describing not only Cajun cooking but the Spice on Snow festival itself. The original print version of this article was headlined "Cajun Capitol"